We first met the new 2011 KIA Picanto at a special pre-Geneva Motor Show unveiling the night before the show. Very promising. 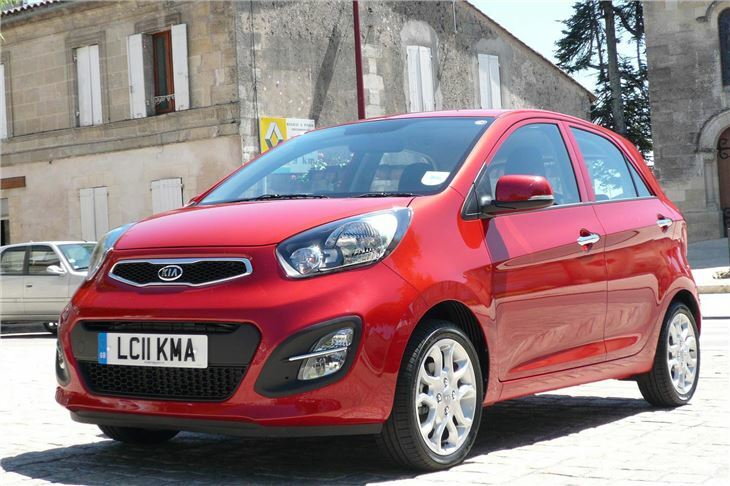 A combination of the cute and reliable first Picanto, engines from the super successful Hyundai i10, and a slightly more substantial ‘big little car’ look. Now (by which I mean June 2011), it’s here. 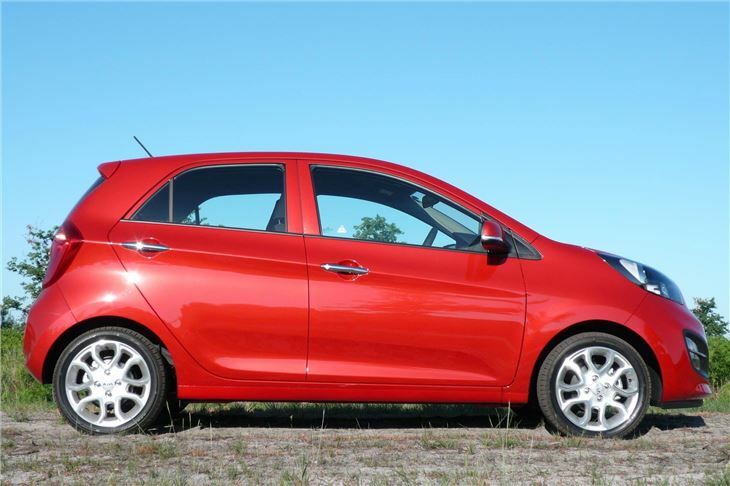 It’s 30mm longer than the i10 at 3,595mm, the same width:1,595mm and 70mm lower at 1,480mm. The car looks particularly good in the colours in which it was presented to us. 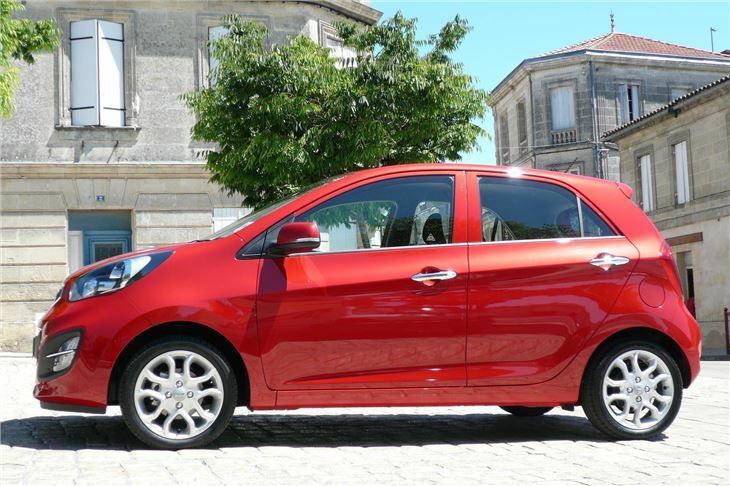 The Picanto 1 in a creamy baby blue, the Picanto 2 ISG in a deep metallic red, and the Picanto 3 in a fetching shade of Pistachio. 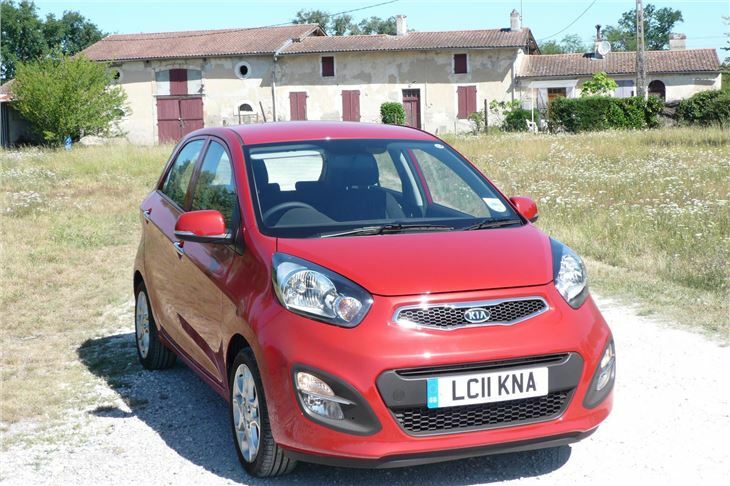 Having to film, I only managed to drive the Picanto 2 1.25 with ‘Intelligent Stop Go’, but my experience of the first car was spoiled by its steering. 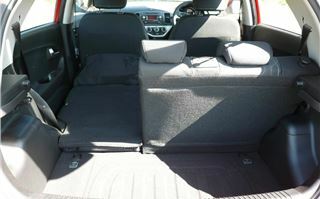 Please bear in mind that these were pre-production cars and sometimes everything is not quite right. But the electric power steering on the first was extremely light at parking speeds, then stiffened up artificially to such an extent I couldn’t tell the exact angle I’d turned them to. And it wasn’t just me. My co-driver felt the same. Later it transpired there had been variations in the software settings of the steering motors, so it\s something quite easily remedied. I only hope the variation does not feed its way into production. Next day I took out another apparently identical car and it was entirely different. Nothing significantly wrong with it within what can normally be achieved with this type of power steering system. Not quite as much ‘feel’ as I’d like, but nothing to complain about. 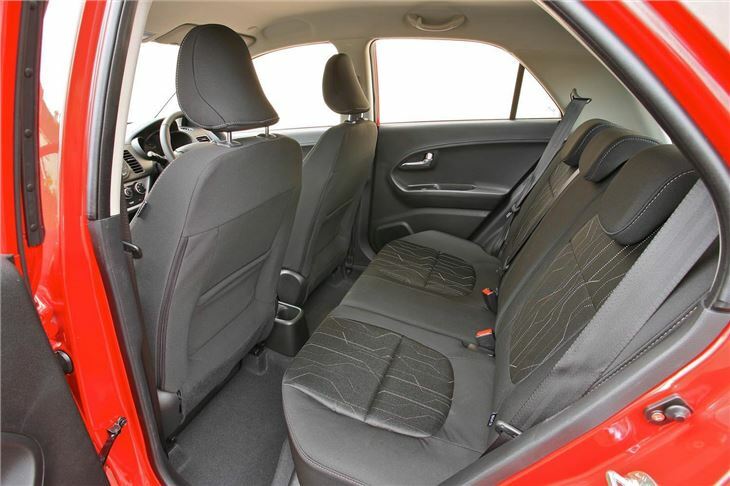 They call it "The small car, grown up." 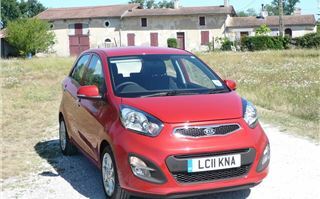 And out on the road the new Picanto does genuinely have the feel of a bigger car. Ride quality as good as a Fiesta on sensible tyres and better than a Mazda 2. 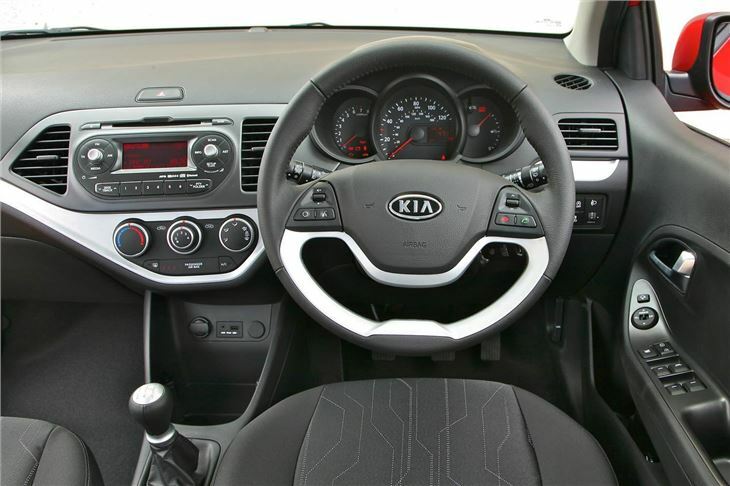 Decent gearing giving 23 – 24mph per 1,000rpm in 5th, making 70 a reasonably relaxed 3,000rpm cruise. No qualms about the handling or the performance which, with an 11 second 0-60 and a top speed of 106mph, is entirely adequate. 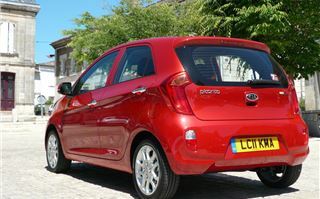 The ‘Intelligent Stop Go’ system works intelligently, which means not when there isn’t enough put back into the battery and a quick start which you need it to get out of a road junction. 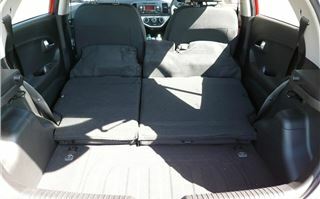 The seats are comfortable. There’s enough head and legroom for four, and seatbelts for five at a pinch, though certainly not for five members of Weightwatchers. 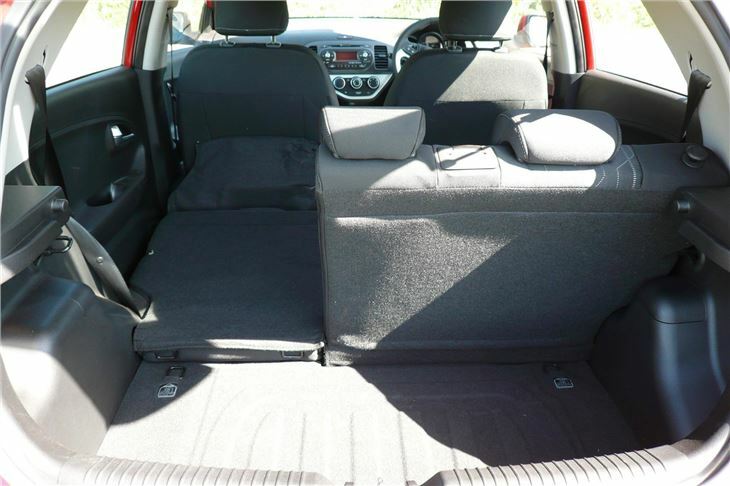 The loadspace is greater than the old Picanto, but still isn’t great at just 200 litres. 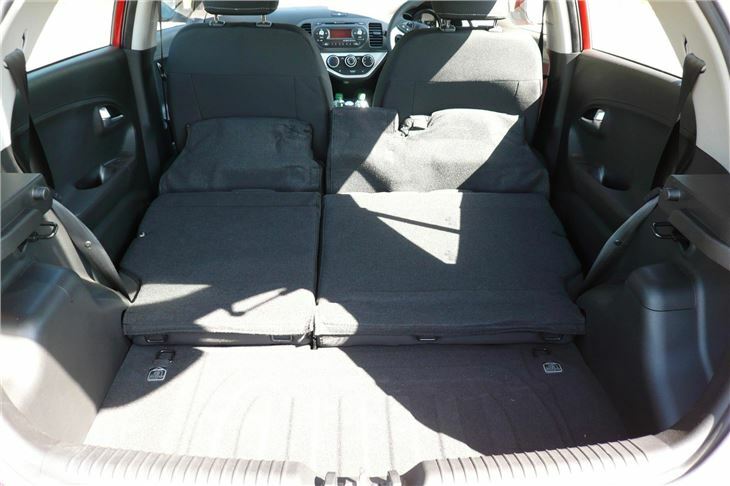 Unlike bigger cars such as the Fiesta and Mazda 2 the 60/40 split rear seats double fold, leaving a flat floor and 605 litres of loadspace to window height. No spare wheel, though. Just a puncture repair kit. 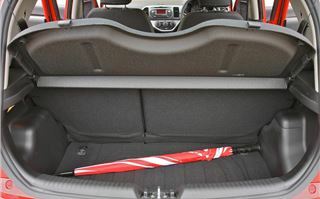 A nice feature, and something I forgot to demo in the vid, is electric folding side mirrors that can be folded on the move to get through a narrow gap, like a garage door. Crucially, the 1.0 engine emits just 99 grams per kilometre CO2 and the 1.25 with Intelligent Stop Go only 100 grams/km CO2, so they are both VED exempt and London Congestion Charge exempt (once registered with TfL). 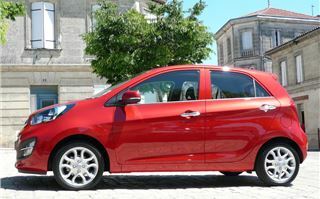 Prices are a bit of a hike over a Hyundai i10, but the Picanto II is arguably a more stylish looking little car. 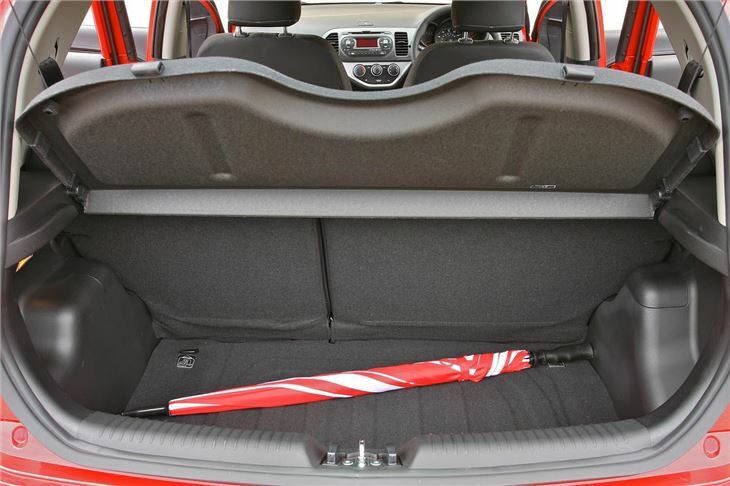 The front-to-back crease line, the neat rear doors and the rear end are particularly attractive. Don’t get me wrong. 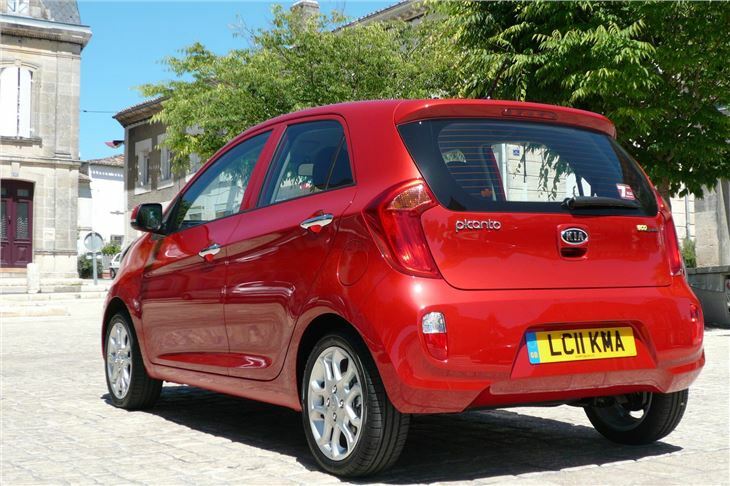 The Picanto II isn’t instantly trendy like a FIAT 500 TwinAir and it isn’t as much fun to drive. 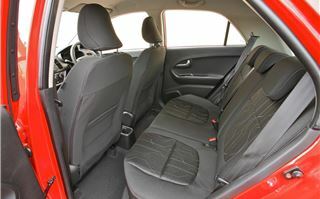 But it does have five seats and five doors, standard Bluetooth on most models, and probably beats the TwinAir on Real Life Fuel Economy. Plus. 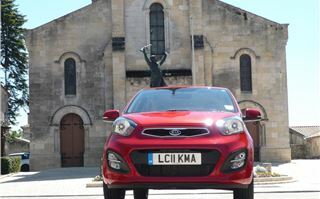 Of course, KIA’s 7 year transferable warranty. 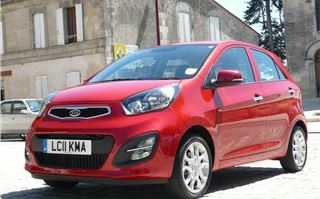 It’s a huge improvement on the original Picanto, yet still appeals to the same buyers and should find a whole lot more.